Lenstra, J.K, & Rinnooy Kan, A.H.G. (1975). 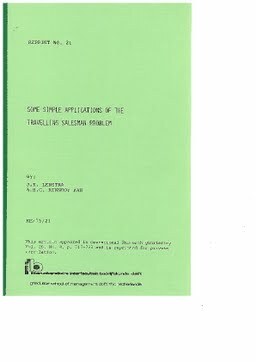 Some simple applications of the travelling salesman problem. Graduate School of Management.